A few years ago ultra-conservative parties won impressive victories for the European Parliament. The UKIP party in the UK won a resounding 28 percent of the vote; the National Front in France 23 percent, and the Danish People’s Party 23 percent. Given this significant electoral representation, it is unfair to call them ‘fringe’ – especially when the Republican Party in the United States won only 37 percent of the votes in the 1964 American Presidential election; and the Democrats won only 39 percent in 1972. Admittedly, the European elections were for the EU Parliament, always far less competitive than national votes; but over 43 percent of eligible voters went to the polls, a number not much less than the US turnout in the Presidential election of 1988 (49 percent). More recently, Marine Le Pen won 22 percent of the votes in the French ) Presidential primaries. In other words, it is reasonable to interpret the results as validly representing the current political sentiments of European voters, and that given the percentages recorded for the Far Right parties, they represent a newly emergent political force. So why are they referred to in the US and Europe as ‘fringe’, suggesting a sketchy, irrational, and conspiratorial movement that is marginal and irrelevant? The creation of European Union was never about currency or free trade, but about political and social solidarity. It was an emotional decision – a commitment to end forever the European wars which had riven the continent for millennia; an idealistic statement of regional unity; and a vote for the value of a vibrant pluralism existing within a strong political union. As the EU expanded and countries in Eastern Europe far poorer than their Western neighbors were admitted, the philosophical ideal became tarnished in the face of economic realities. Resentment grew against Polish carpenters, Bulgarian plumbers, and Romanian electricians who were ‘taking’ jobs from French or Danish workers. During the Recession of 2007 when huge EU bailout packages were provided to Greece, Spain, and Portugal – all notoriously profligate public spenders – the resentment increased. Illegal immigration from Africa increased discontent with the EU. Why were Italy and Spain not doing their European duty and keeping out those who made it to enclaves in Morocco, Gibraltar, or Lampedusa? The inequalities among European nations became pressingly clear. The economies of Southern Europe were performing badly while Germany became the czar of the Union; Italy’s democracy was in name only as one government after another fell and any kind of political stability and predictability was impossible. It became patently clear to all Europeans that despite the idealistic nostrums of the European Commission, Europe was still many nations, not one. The resentment grew even more when the Commission intruded more and more into national economic and social life. The ‘progressive’ rules and regulations which were meant to blunt the edges of national culture and harmonize the Union were seen as unwanted meddling. Added to this dissatisfaction were the growing numbers of Muslim immigrants from Africa. These new arrivals were different. They refused assimilation. They benefited from Europe’s system of generous social benefits but remained closed and uncooperative. God’s Law would always trump Man’s they said, and they became increasingly insular and militantly opposed to what they saw as government intrusion into their lives. This social closure was particularly offensive to the French who prided themselves on the concept of a unified nationhood. 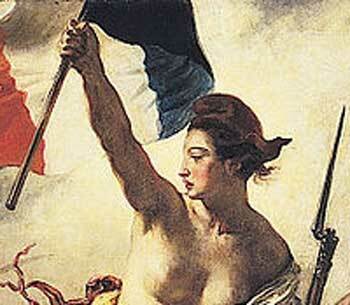 We are all French, government said, and there is no such thing as pluralistic identity. The French sniffed at America’s multi-culturalism, a movement to celebrate ethnic differences, but which diluted nationalism and national integrity. The French were surprised when the riots broke out in the Parisian suburbs in 2005. African immigrants angrily and violently protested French exclusion, racism, and neglect. They might be officially considered no different than the white Parisian living in the 7th, but practically they were ignored, discriminated against, and marginalized. As the proportion of Muslims grew in France (the highest proportion in Europe), the native French became equally upset and militant. Opposition to immigration and to the EU coincided around the issues of culture and national identity. Not only were immigrants demanding recognition and respect as unique, separate cultural identities; but so were native-born French who looked back to their country’s storied history, one in which Roland defended Europe from the Muslim heathens invading from the south. La France meant something. It had always been white, Christian, and homogeneously sharing cultural and social values. Now it was threatened. Some have jumped to conclude that the French and the Danes are racist at heart and can’t bear the thought of their white cultures polluted by savages. While racism exists everywhere and while there is no denying that the patronizing, patriarchal sentiments a century of French colonization of Africa engendered, it is too simplistic to assume that only racism is behind current European politics. The whole world is fragmenting into ethnic and cultural enclaves. Old World allegiances are reforming and hardening, and newly-arrived communities are demanding their cultural independence. It is not surprising that Russia has flexed its Imperial muscles and reasserted hegemony over countries and regions within its sphere of influence. One has only to read War and Peace to get some appreciation of Russia’s deep and abiding cultural nationalism. The Balkan Wars were fought as much over grievances and posited rights of a thousand years ago. Tibet, the Uighur provinces of Northwest China, Quebec, and Scotland are among the many ethnic enclaves which reject old-line nationalism and the idea of nation-states. Shakespeare more than any other writer understood human nature – acquisitive, aggressive, territorial, self-protective, ambitious, and violent – and knew that it would always be the immutable force behind the events of human history. It was not surprising that English history repeated itself in such predictable ways as he demonstrated in his Histories. It is equally not surprising that as the world becomes smaller and its population becomes larger that smaller and smaller groups demand recognition. The civil wars in Iraq are not just between Shiite and Sunnis but between the many factions of each. Solidarity among cultural, ethnic, or religious groups does not come easily. When societies fracture, they fracture along many fault lines. UKIP, the National Front, the National Front and the Danish People’s Party are only fringe groups in the eyes of ‘progressives’ who refuse to accept this new localized nationalism. The One World utopia of the Left – a world of racial, ethnic, and religious harmony within a pluralistic society – dies hard. ‘Progressives’ simply cannot acknowledge the existence of human nature let alone its potency. Even if there is such a thing, it can be tamed and harnessed by government to serve the common good. Many in the United States worry about immigration, the loss of English and traditional American culture; but there is little to worry about because there is no such thing as American culture, at least not in the European sense. If you are ambitious, want to make money and move up the social ladder, you are American. You don’t have to worry about the pillars of culture erected thousands of years ago, nor about crusading Christianity, high art or High English. Make yourself understood, wear a white shirt and tie, and get to work. It is highly unlikely that Mexican-Americans will band together, claim all territory within a hundred miles of the Rio Grande, call it Mexistan, and fight a civil war for independence. The few Muslims that live in America are happy to be here, or so it seems, and have become as assimilated and engaged as any immigrant group in the past. On the basis of this short history, Americans feel they have a right to sniff and chortle over the EU’s troubles; but this naïveté and historical ignorance influence our foreign policy. We make casual assumptions that liberal, pluralistic democracy is an inherent, God-given good; that an election is a sacrament; and that elected officials are anointed priests. We are flummoxed by Putin and China; ignore the separatist movements all over the world at our peril, and rest on our browning laurels. No, the Right Wing parties of Europe are not ‘fringe’ groups to be ostracized and vilified. They are natural, predictable, and valid expressions of The New Separatism. The world is still very much imbalanced by any social, economic, or political indicator devised; and until there is little or no tilt, inward-looking, self-interested political parties and socio-cultural groups will continue to increase.